Our clients are the first step in our process. We focus on identifying your project goals and design aspirations, from there we interpret your ideas and bring them to life. We concentrate on producing a carefully crafted design package that brings clarity to the project’s process and implementation. Every aspect is held to our high standards, from a single plant to major construction. After an initial consultation, we produce a schematic design package. These documents indicate the emotional vision for your project and an accurate scale showing how the space will function. After preliminary design meetings and approvals, we produce detailed drawings that can be submitted to you, your Building Management, New York City Department of Buildings, Landmark Preservation and those involved with your project. Once approved by all the necessary parties, construction commences. Our greatest asset is our team of professionals with expertise in carpentry, masonry, horticulture and design. We take pride in our work and hold ourselves to the highest industry standards. Midwood - Rear yard : A photo showing the installation of a marble patio and IPE deck with uplighting on hornbeams and a horizontal cedar fence. 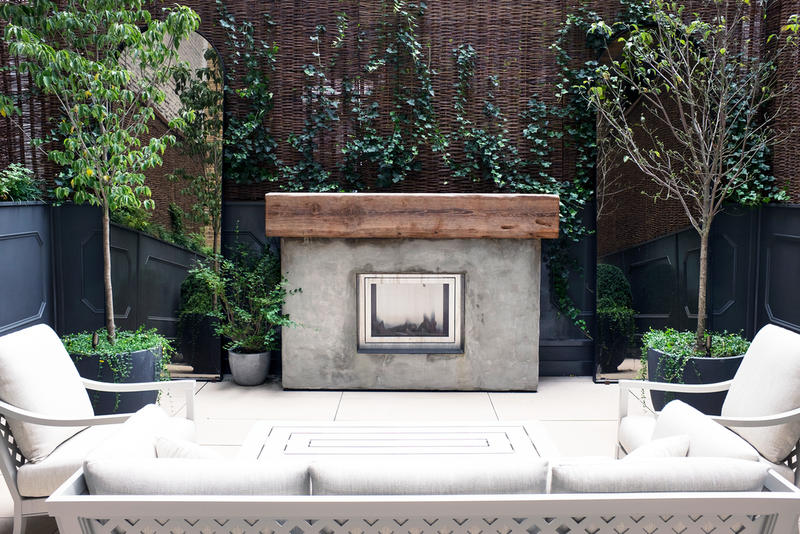 Union Square - Private Terrace : A photo showing the installation of a custom stucco fireplace with a reclaimed timber mantel and a custom panel wall with detail moldings. 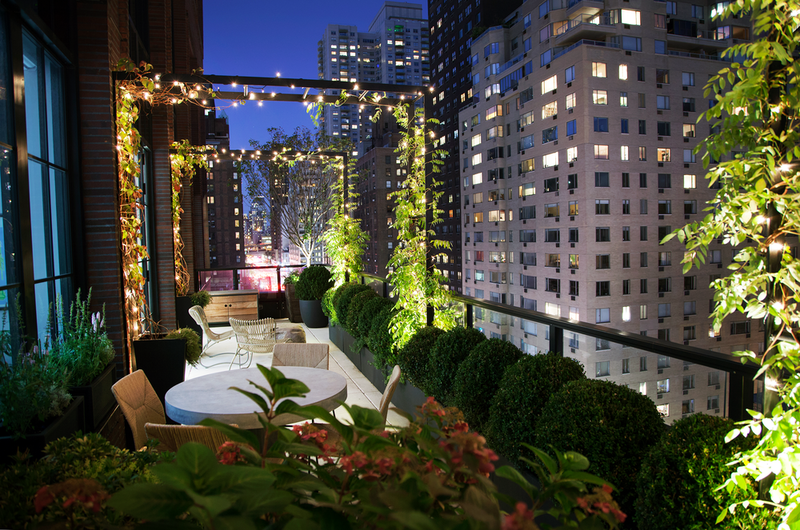 Midtown East - Terrace : A photo showing the installation of a garden with ivy on a custom steel trellis, grounded with a boxwood hedgerow.